We were just a bunch of kids. A bunch of kids standing in the pre-dawn darkness, talking about hating cancer and wondering aloud how we ended up on bicycles in a grade school parking lot in Hill Country, Texas. The short version is we took a long bus ride there. 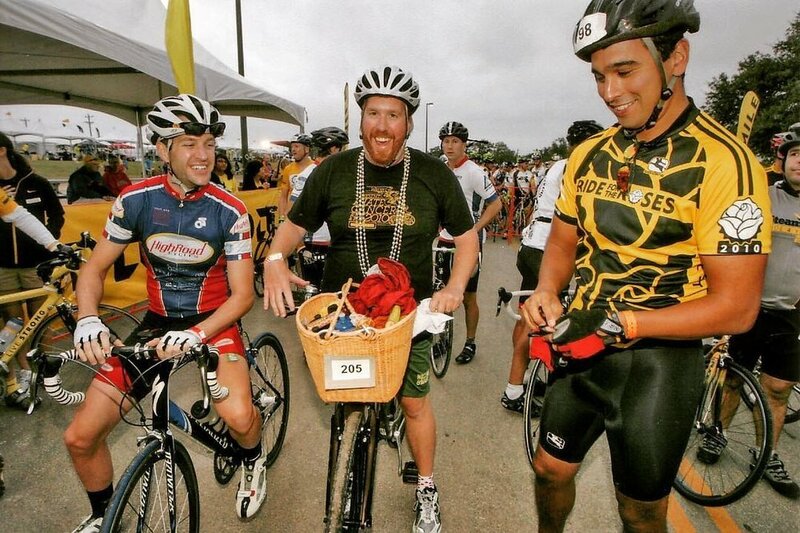 We were all invited to participate in a weekend-long celebration by the Livestrong Foundation as their top fundraisers. Mark Garza, Flatwater Foundation’s founder and CEO, was straddling his road bike, waiting for the ride to start. CJ was right next to him, on a beach cruiser, somehow already dripping in Mardi Gras beads before the sun had even risen. As we traded fundraising tips and our personal connection to cancer, we realized how similar our goals were. We knew the difficulties of navigating a cancer diagnosis. We knew how hard it was on the patient, and we also knew how much havoc cancer wreaks on the family and how important mental health was in the process. When the Flatwater Foundation was founded in 2010, Mark had just recently dealt with the cancer diagnosis of his own father. Seeking support, he was shocked by the cost of therapy and realized there was a lack of care for thousands of people that were going through similar experiences. Through his experience, Mark learned about the benefits therapy could provide during such an emotionally and financially trying time, and he knew that something needed to be done to help others access care. What started as a simple thought soon took off. 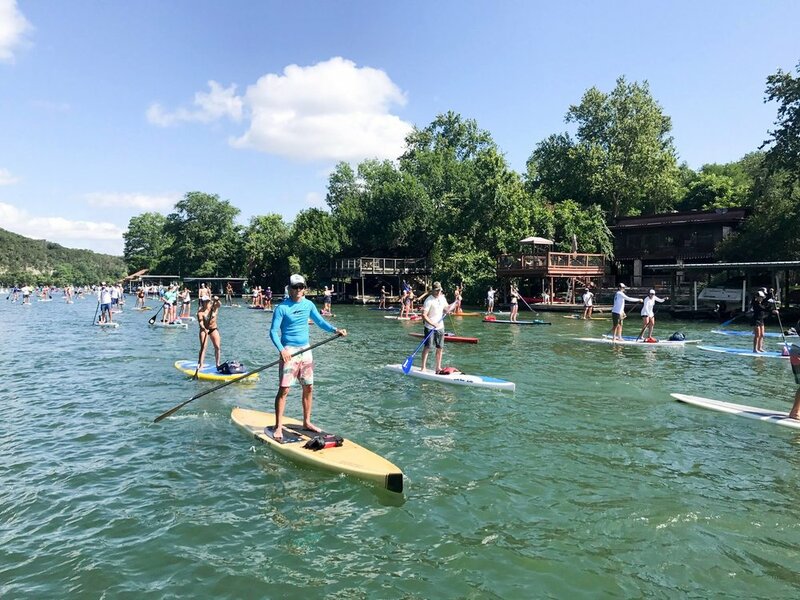 The initial Flatwater Foundation ‘Dam That Cancer’ Fundraiser (a 21-mile stand-up paddle board event on Lake Austin) took place that same year. By 2011 the Flatwater Foundation’s therapy network had been established. Fast forward to 2016 and over $1 million of therapy had been provided to those dealing with a cancer diagnosis. To date there have been over 1,700 program participants and over 23,000 therapy sessions covered. The impact is staggering. Back in that parking lot in 2010, none of us had any real idea how things would pan out. Mark and Flatwater were just getting started. Team I Hate Cancer was still “The Walsh Bros present I Hate Cancer Ride & Run 2010” (not our best decision). What we did know was that we wanted to make an immediate difference in the cancer community. We wanted the dollars that we raised to reach someone coping with cancer as quickly as possible. There are organizations that address every type of cancer and do a wonderful job. But where is the help right now? Where can we go to fill those gaps in cancer care that insurance shrugs off? Where can we make the biggest impact with your generous donations? In 2016, Team I Hate Cancer met with the Flatwater Foundation in their Austin offices and decided to partner together moving forward. It was clear that we were on the same page and we began searching for ways to make bigger waves. So once again we’ll be hopping on our bikes, except this time we’re riding from Philly to Maine with a goal of raising over $50,000 and generating awareness for the mental health side of a cancer diagnosis. To date, Team I Hate Cancer has provided access to hundreds of hours of therapy for families in need, coping with cancer through the Flatwater Foundation. With the efforts of the Lobster Roll and your generous support, we look to help more families get the care they need and to spread the mission of the Flatwater Foundation into new markets, touching more lives.